The next market in our Network Vision/LTE deployment schedule update series is...Minnesota. The Minnesota market has yet to be announced by Sprint, and may not be announced until as late as this Fall. The Sprint Minnesota market encompasses most of Minnesota and Western Wisconsin. This includes the Twin Cities (Minneapolis/St. Paul and suburbs), Duluth/Superior, Rochester, St. Cloud, Mankato, Brainerd, Bemidji, Winona, Eau Claire and La Crosse. Sprint's Network Vision OEM Samsung is scheduled to begin mobilizing their subcontractors around the market in late August. The first completed Network Vision sites are scheduled to start coming online in September. Anticipated Sites Complete at Market Launch. 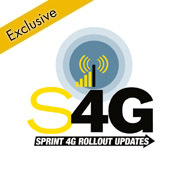 According to the Network Vision schedules that S4GRU has reviewed, if Sprint launched the market in April, these are the anticipated sites that would likely have LTE complete at that time. This would provide fairly good LTE coverage over many parts of the market. Sprint has not yet selected a date to formally "launch" LTE service in Minnesota. It is difficult to try to pick a date now this far out, but we have attempted to do that. In looking at the schedule as of today, it would indicate a April market launch (going on a 40% - 50% completion for launch). But there is no way to know if Samsung and their subcontractors will actually hit their schedule dates before deployment in this market begins. We will be able to gauge better after a few months of production is achieved. Samsung needs to hit a production rate of approximately 65 sites per month to stay on schedule. This is a big chunk to complete monthly, but is doable with the appropriate amount of resources allocated. S4GRU has examined the schedule in great detail in this market and sees that most of the sites will be complete by September 2013. However, there may be a few sporadic sites that will linger past the completion. Photo of Downtown Minneapolis provided courtesy of Wikimedia Commons. Thank for you very much for this update! I did not expect them to start mobilizing as early as August. This is great news! Should be a fun year up there. I can't wait to go scope out completed sites. Hopefully those subcontractors don't get too cold this winter. Seems like a dangerous time to deploy NV. Thank for very much for this update! I did not expect them to start mobilizing as early as August. This is great news! Should be a fun year up there. I can't wait to go scope out completed sites.Hopefully those subcontractors don't get too cold this winter. Seems like a dangerous time to deploy NV. Yeah, it's a large market. It start the week before Labor Day, and it will take a year to complete it all. You show sites on here that aren't in the premier sponsor map with completed dates. Does this mean you have an updated map that isn't Preliminary? The Minnesota market map was updated yesterday. No longer preliminary. I am surprised pyroscott hasnt commented yet like "OMG FINALLY!!!!" Thank you for the info on western Wisconsin... now how about eastern Wisconsin? now how about eastern Wisconsin? Never heard of it. Is that anywhere near Mukilteo? Lol. Eastern Wisconsin would include Mukwonago... That's kinda close. I am very interested in the Milwaukee and Waukesha county areas myself... I can't wait for NV to sweep through Wisconsin. I've got friends who decided to stick with Sprint because I told them that hopefully by the end of the year we should start to see some towers being upgraded around here. I hope I didn't lie!! Network Vision/LTE deployment has not reached final scheduling in Wisconsin, yet. However, the Milwaukee/Madison market will likely start this Winter. The North Wisconsin market will not start until some time in 2013. I think I've been shaking all day... LOL If only I could speed up time. Lol, no, it isn't in Washington. I was referring to the Milwaukee/Madison/Green Bay triangle. Is 94 all the way to the dells upgraded with Mn? I thought the south wisco market was further up i94? They must want seemless handoffs and good coverage for interstate travelers. I'm cool with that. Currently dropped calls and crappy data riddle that freeway. Zachary...I should have made a left at Puyallup. Or was it Enumclaw? Even though the market is Minnesota, will cities like Minneapolis, Mankato and St. Clound get the upgrades first? Since they're big and college towns? Sprint Network Vision deployment is not done city by city. It's done site by site over the whole market. As you can see in the map above, when the market is 40% complete, they have sites all over the market live. Not just in certain cities. It's more of a shotgun approach. Hopefully they amend their strategy and allow sites to go live when they are completed. Is there any info or western MN or the Dakota markets? I live near Alexandria and the service is so hit and miss. According to Sprints site, there are 5 towers around me that are supposed to have a data upgrades in the next 6 months. Those are the band-aid improvements that should improve the service temporarily, until network vision comes to the market in 2013 or at the latest early 2014. I can't wait for the Eau Claire area to get the NV treatment. I don't even care about LTE as much as the backhaul and signal improvements. LTE is just a bonus. I know this is probably a silly idea. However, wouldn't it have made more sense to work on northern tier sites in the summer, and save the southern tier states for the winter. I'm really not sure how much can be accomplished in Minnesota from November through March. Sounds like more delays to me. Has it started in MN yet or are they behind schedule? It's been going all summer..